Julie Smith arrives in Harmony Valley seeking revenge. Julie's hurt physically, mentally, and in her heart. Grieving the loss of her sister and possible loss of her job, Julie seeks out Nate Landers. Once upon a time, Nate was her close friend, coworker, and almost brother in law. Now he's the target of her revenge, anger. Julie arrives with Duke, Nate's child he's not aware of, but can't deny. Julie's there in hopes of proving Nate unworthy of Duke. Trying to make Nate's life miserable, Julie gets roped into running against Nate for Sheriff. Julie doesn't really want the job as she wants to go back to SWAT, but she enjoys making Nate squirm. Spending more time with Nate, makes her doubt herself and her intentions. 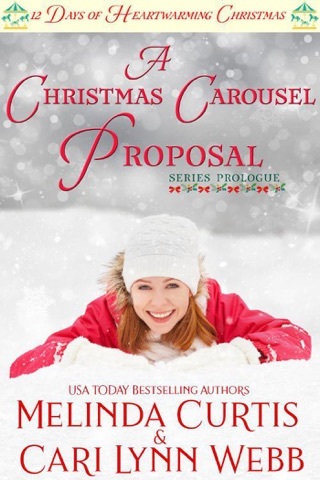 Can she let go of her anger long enough to allow love into her and Duke's life? 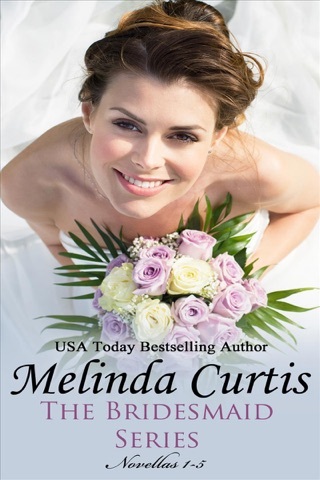 This novel by far, is my favorite Melinda Curtis novel! I cried along with Julie and Terrance. Terrence's loss was just as devasting as Julie's. I loved that he was the "baby whisperer", the grandpa. Nate's deplorable childhood lead him to doubting his ability to be a good father. Their heart-breaking journey was so relatable. I highly recommend this sweet, second chance romance. I read a gifted copy and all opinions stated are my own. An endearing story about forgiveness ... of other people, and of yourself! I enjoyed watching the connection between this man who thought he would be no good as a father with the little boy who stole his heart at first glance. It was bittersweet to hear all of the sadness they had all endured, but watching them work through their pain was very rewarding. I was a bit thrown by the way they would instantly be thinking back to the past in the middle of a scene, but overall, I really enjoyed the writing style, the plot and the characters! Sheriff of Harmony Valley, Nate Landry has an easy-going life as the law in a small town one minute, and the next minute the job that means a lot to him is all of a sudden in jeopardy when the town busy-body wants to make heads roll for things not going the way she wants them to! As if that isn't upheaval enough, who should suddenly show up in his town but the sister of his former fiance ... with a toddler in tow who looks awfully familiar! Julie Smith is recovering from some work issues herself, and still reeling from the loss of her sister ... and the last thing she wants is to be in the company of her former friend Nate Landry. 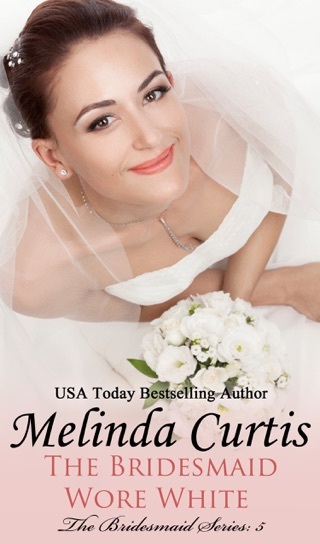 She has hated him for years since he broke her sister's heart on what would have been their wedding day ... and she's only here for as long as it takes for him to sign over custody of the son he didn't even know he had! 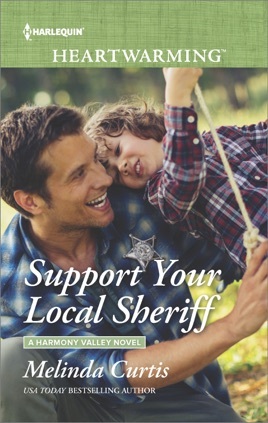 "Support Your Local Sheriff" (Harmony Valley Book 10) by Melinda Curtis is a great read. I enjoyed Nate and Julie's story. This story has romance, overcoming loss, new beginnings, humor entertaining characters, and more. A great addition to the Harmony Valley series. 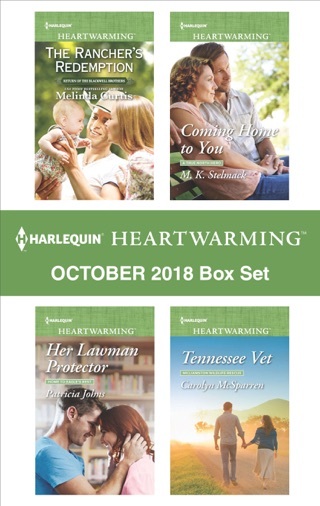 Recommend to all fans of romance, series, and happily ever afters.